“You are going to build what makes you happy.” Whitney Husband shows us time management strategies from a single mom of two. And also, social media tips to build a large organization online. 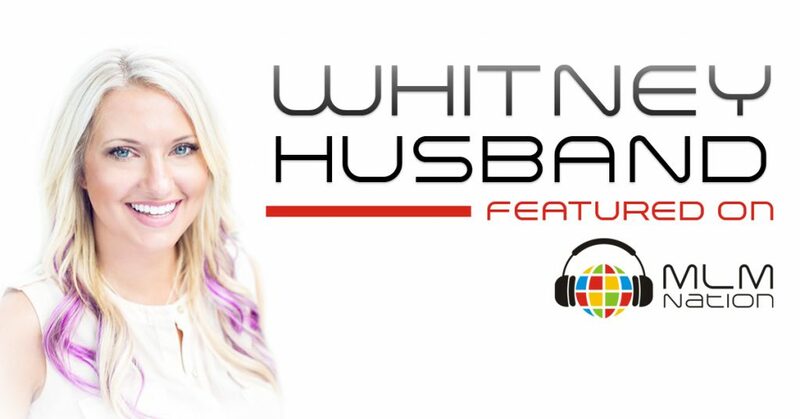 Whitney Husband is a single mom with 2 kids and has built a successful MLM business with over 200,000 distributors and she’s a consistent 7 figure a year earner. She got started in network marketing because even with a college degree in business administration, she made little money as a bank teller and things got even more challenging when she was pregnant with her first child. Once Whitney got started in MLM, she was able to reach the top of her company in just 4 months and won a $10,000 cash bonus. Whitney and her 2 kids live out in her dream home in Lufkin, Texas with a 50 acre farm with 2 dogs, 3 horses and 2 cows.